Let's see, the first time I had head lice infestation I washed all the bed linens every night, lice combed child's hair and mine, added tea tree oil to shampoo and conditioner, and generally freaked out. This lasted for about 3 weeks and wore me out. The second time, I did a lot of due diligence, and I mean a lot, and discovered I live in a state with super lice, so even if I wanted to use a pesticide or home remedy, it would do us no good. I came to the conclusion that almost everything is a waste of time; washing linens, using pesticides, freaking out, etc., and that the only thing I needed to do was buy a really good metal lice and nit comb, and do that once a day. It took about 2 weeks total to clear the lice. I did the same thing the third and fourth time, but now, I check our hair once a month to ensure that if they are picked up again, there won't be a total infestation when I finally figure it out. Those last 2 times, it was barely 2 weeks before they were completely gone (I like to go 3 days with a lice/nit free comb before I declare us lice-free). So the past 3 times my beloved daughter has picked up lice, I've only used the lice comb and saved myself time and trouble between all the washing and all the money spending. We just sit down in front of the TV after she washes her hair and I lice comb her hair and we get on with life. My head was very itchy on a Monday. It had started to itch mildly prior. I came home from work and asked my family it anyone else's head itched and my daughter said her hair had been itching for 3 weeks. She told the nurse at school and was checked and cleared. Tiny white balls were found in her head and a few crawling white lines with legs, lice. I stripped the beds and put all dirty clothes in a trash bag for two weeks. We talked about it and I told her we would be doing a process of elimination and it would take the night and tomorrow. We stayed home from work and school the next day to continue and monitor. We bought Nix and treated hair, the mattresses, and pillows and slept on the leather couch that night. We woke up to find some on the surface of the couch, pretty big ones. It's been a week now, I wash bed clothes and sheets in hot water and soap every morning but my head still itches. My daughter's head is clear of lice but there are some small dry patches of skin. I haven't noticed anything on the bed. We will re-treat our heads tomorrow as directed. I have 3 children and over the years I have dealt with 5 cases of lice infestation. I am currently dealing with #5. In the past I have used Selsun Blue which worked amazingly well for the hair. It kills them and prevents their return with continued use (my husband's family used it frequently when he was a child for treatment and it worked then too). I am trying something different this time just to see if it works. I washed my girls' hair and then conditioned but picked out the live ones with the conditioner still in the hair. After I got those out what I found was if I dried their hair and then sent them to bed with olive oil in their hair, I actually drown a few in olive oil during the application. My hairdresser told me that lice doesn"t like dirty hair hence the attempt with olive oil. I stripped all of their bedding and took it to the Laundromat, used the hottest water I could get and then dried them extra-long to kill the buggers. Well here's to an experiment. If this doesn"t work, it"s back to the Selsun Blue! A lot of what I read about lice is false from my experience. My grandchildren came here with lice about 6 months ago. I have been trying to get rid of them ever since. They managed to get rid of them but, I can't. I have tried everything. They say they don't crawl on you and that is bull. I can feel them crawl up my body and eventually get into my hair. I have no nits. As soon as I feel them I brush my hair over the tub. I see one crawling in the bath tub. Yesterday I brushed one off my back and saw it crawling around. I have washed and dried everything, cleaned my carpet, vacuumed, ironed my bed and my couch, have stuff in plastic bags, wrapped my whole couch in plastic, washed my curtains, have my scatter rugs still in bags for 3 months. I unwrapped my couch and got attacked. Rid, or any of the over the counter shampoos do not work, I even had the Dr give me 2 different types of prescription medicine. I follow the directions. I have even put kerosene on my head, and Malathion to the point I had to call 911. I have sprayed my house a million times. The only thing that kills them is vinegar. So, now I have sprayed my couch with pure vinegar and carpet and myself. I have a rash from all the stuff, my head is dry. I have tried home remedies; basil oil, peroxide, alcohol, olive oil, tea tree oil, Eucalyptus oil, peppermint, oregano and other spices made into tea. Some work. People have checked my hair and there are no nits/eggs. Vaselined my hair, baby oil, olive oil and left it on all night. Sleep with my pillow wrapped in plastic. Change my pillow cases nightly; wash my brushes 4 times a day in boiling water and alcohol for 1/2 hr. So the theory that they die within so many days is bull. My couch was covered for months and I did not sit on it. When I unwrapped the plastic, they were still alive in there, the adults and babies. So I think someone should re evaluate their theories. I have had it. I don't even want anyone to come over. I itch at work, but no one else does. I brush the bugs off in the toilet. They have treated with their hospital stuff for lice. I am still itching. I'm lost and fed up. I'm wondering if the lice need or like the yeast that Selsun Blue kills. Still it didn't eliminate them entirely for me. And menthol or mint sent them running across my face or down my neck and biting hard. Maybe more preventive than a killer. Permethrin killed a lot but left some. Same with hydrogen peroxide, Listerine and vinegar. I think persistence and not waiting between treatments must be key to getting them all because I battled them for months and despite naysayers I had to bag up clothes for months. They lived longer away from blood than the two days I read about. The car was a big problem. I don't know what they lived off of but they survived. The rid spray worked when I threw out the budget and bought and used it with abandon. Then I started to get control of the car infestation problem. I don't think we understand the whole story about lice yet. I have used Rid, Nix, Clearlice, tea tree oil, mayonnaise, peroxide, and right now I am sitting with Dawn dish liquid on my head. My doctor gave me 2 prescriptions for lice infestation, to no avail. Right now I'm out about $260. One person says there are 15 to 20 lice on an infested head, another said thousands. I wish people would not post stuff they are guessing about. People depend on these posts for help, please post only stuff you have tried, stuff you know. I am at my wits' end. Each of my three children (usually in 2nd grade) came home with head lice. All I had to do was use the over-the-counter shampoo, wash their bedding and vacuum their bedrooms. That was that! The bugs were gone. I have never heard of having the kind of problems I've been reading about now. My two boys have a knack for getting lice in the early winter every year. We've tried several pesticide-based cleaners (Denorex, Rid, etc.) and old home cures from my mother. My wife has tried tea tree oil on them, but she found peppermint oil works well, especially with the winter season and dry skin. The name brand she picked up was Licenex, and they have sodium borate and enzymes as the other active ingredients. No weird chemicals, and my boys don't complain as much. I am dealing with lice now. I found out Friday night that I had it. My friend (beautician) and I sat at her house for 3 hours combing my hair and getting the nits, nymphs, and adult lice out! We got thousands and thousands out of my head. I had had it about a month. I just thought I had dandruff and then it started itching worse so I called my best fiend also my hairdresser to take a look at my hair and I was defiantly infested. We got the most of them out that night. I went back over there Friday morning and we put mayo on my hair and let it set for about 30 mins. and then we combed thru it again. We got most of the remaining ones out. I'm still doing mayo on my head every night until I know for a fact that they are gone. The first night we treated we used RID then after that we put mayo on my head and let it set for awhile then washed it out and combed again. The second day we just did the mayo. Yesterday we let my hair rest and today (Monday) we are going to do another mayo treatment and leave it on my hair overnight. Then come Friday again I'm going to go get some more RID and do it again just to be on the safe side. I threw my sheets, hairbrushes, ponytail holders, clips, and everything away. I washed all blankets, vacuumed the floor, couch, mattresses repeatedly, swept the floor and moped. Hopefully this coming up weekend I'll be lice free. I am also dealing with the head lice situation. I am so sick of this and feel it will never end. I feel on the verge of a nervous breakdown. My normal pediatrician would not prescribe a med for my daughter so I found one that would. While nothing is proven to kill eggs, I hear Ovide is the best at it. I am willing to give it a try. I have only found 2-4 eggs in her hair today which is a large improvement from the 100 I have had recently. I am due for the 2nd treatment of Rid on Saturday. Ovide works for head lice infestation, it is $165.00 a bottle. It kills the lice and nits. I unfortunately made several mistakes with the lice treatment. First, I did not anticipate that it would take a few days minimum to be sure that we were lice-free. I thought I would just use the treatment, comb the hair, clean the house in one day, and the kids could go back to school the next day. Well, I missed several nits, and we relapsed, and the school nurse missed the nits. Unfortunately, we exposed the kids at school to lice again. Please plan on taking a few days to comb out nits. Do not send your kids back to school too soon! Also, when your child is first exposed to lice, be sure to check their hair for at least two weeks after exposure. I trusted the school nurse when she said my child was fine and didn't recheck. Get a lice comb and comb your kids' hair out every few days to make sure they don't have lice. It's easier to treat earlier than later. Also, I found the product LiceMD made combing much easier! I've also heard that vinegar works well to loosen nits and remove them. I have had head lice for a little over a week now, and I've been picking out the nits and bugs in the shower with conditioner and the lice comb that came with the OTC lice medication I bought from the store. I do plan to use the lice medication, but I'm first trying to be sure that the whole house is treated and lice-free before I use it so that I don't waste the lice medication then catch it again. Lice medication is very expensive for a poor pregnant mother such as me! Luckily, my midwife said that it's OK for pregnant women to use lice medications, so at least this doesn't add on to the rest of my everyday worries! This is my very first time ever having head lice and hopefully my last. I'm doing everything in my power to completely get rid of it and never catch it again! I have an old-fashioned remedy for getting rid of head lice and their eggs. 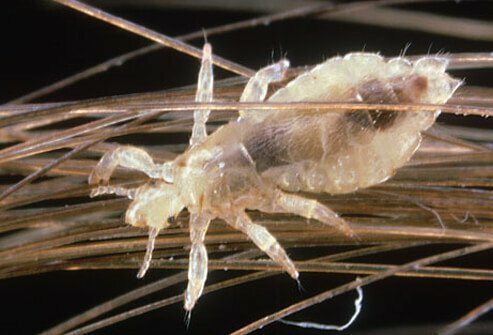 I have read that adult lice can breathe under water and don't like heat, and the eggs are attached to the hair shaft with a sticky substance. Therefore, if you can suffocate the adult, dissolve the egg attachment to get rid of the eggs and confine the infected hair, you have a good chance to get rid of the infestation. First, heavily coat the infected head with lard, or Crisco, egg whites or a thick, greasy substance. Wrap the infected head/hair firmly and completely with clear plastic wrap (if you like, wrap a towel over the plastic wrap to add natural heat), and leave on for one or two days. When you do this, it will suffocate and heat the lice and loosen the eggs. When you wash the hair, everything will wash down the drain. Of course, include the area cleaning in the house, the car(s) and areas the child came into contact with when you start hair treatment. This treatment is user-friendly and non-chemical or dangerous. One of my children had head lice. Even with treatment, it took days to be nit free. Look on the computer to see pictures of nits and adult lice; this is helpful. You must part the hair in small amounts and vigorously run a nit comb through it. I found the metal "medi combs" work the best as they are sturdy. When you think you have it all, do it again. Our younger children could not be treated with lice shampoo, however, we used hair gel and shower caps every night for two weeks and that seemed to work. You must do this consistently to avoid spreading it. My daughter and I have head lice. I found a website that gave this advice from hundreds of parents: Wash hair in Denorex (with coal tar) shampoo, rinse, pour Listerine all over the wet hair (to burn and kill lice), squeeze excess out and cover head in a shower cap. (Keep a towel around your shoulders to wipe drips.) Leave the mixture on for two hours, rinse, cover hair in vinegar (to loosen nit glue), cover in shower cap, leave on for one hour, rinse and wash hair in Suave Green Apple shampoo (they hate the scent and deep condition with Suave Coconut conditioner. (Something in the coconut extract repels them.) Then, rinse, comb out bugs and nits with a lice comb, wipe on a tissue and put them in zip-up plastic bags. I sprayed all beds and couches with Lysol and then vacuumed everything as best I could. I am washing all bedding and clothes. I hope this does it. They all said this works. Both my husband and I and the school nurse checked my daughter's head and she was lice-free, so imagine my surprise when five days later we received a call from the school nurse saying she had head lice! Since then, it has been guerilla warfare here against the lice, and I feel we were almost torturing her. We washed everything, vacuumed every day, and did everything but shave her head or put kerosene on it. Talk about fighting a losing battle! Finally, it was suggested to me to try 1 cup vinegar rinse and use 4 drops of tea tree oil, and comb it through her hair. We were told to leave it for about 45 minutes and then rinse it out. Then we were told to coat her hair with a thick conditioner, comb it trough, and let it sit for about an hour, rinse and blow dry. This seems to be working well. I have had to deal with head lice a couple of times. The best thing to do is first sit down with your child, and just go strand by strand with your finger nails, and wipe off eggs on a bleach-soaked paper towel. Also, get a "lice zapper" comb. It runs on a battery and zaps the lice you missed. Then use lice shampoo. Next, wash all bedding and clothing in hot water and dry on hot. Then, get bedding spray for lice. Spray the bed in this, and buy a plastic mattress cover. Keep the bed covered, and then apply clean bedding. Next, spray everything with that spray. Then, vacuum and even shampoo the carpets. All dolls, toys, etc., go in a trash bag for about a week. Also, don't use those stupid combs that come with the shampoo, they break and hurt. Once you have shampooed your children's hair in the treatment, coat (and I mean coat) their hair in conditioner. Use a cat flea comb, and brush through slowly, rinsing off in a dish of water each stroke. This works great; you get the bugs, and you can see what you're getting. This is all you can do other than going to all the other children's homes and doing the same thing. Also, when you go to "play lands," start checking for head lice daily. It's a great place to pick them up! My son and I contacted lice through a family member. We had lice over a month before we knew we were infested. The family member didn't tell us about it because they were embarrassed that they had it. Anyway, I notified our school nurse and she told us to do the shampoo treatment and follow the directions to a tee. Then, everyday in between the initial treatment and the last one, use the blue Dawn (regular) dishliquid on your hair/scalp. Put in on your hair dry and make a lather. Leave it on for at least 30 minutes. Then wash out. I did this and it worked for us. We also washed EVERYTHING in the house and my son and I quarantined ourselves to air mattresses and washed our bedding every night. My daughter and husband did not get the pesky little things. Luckily for them. Hope this helps. I have looked at every website imaginable educating myself on lice and the dawn was the best treatment and easy and inexpensive also! Last year, my two children (8 and 4) got head lice for the first time. I had never dealt with it before, so I followed the directions on the box, which said to do a treatment, pull out all of the nits, wait for seven to 10 days, and then do another treatment because that is when any new bugs will hatch. The problem with that is you don't know when the eggs were laid, so they could hatch at anytime and become adults and lay more eggs before you even do the second treatment. Therefore, I did the second treatment four days after the first one. I then did a third treatment four days after that. I've tried different treatments and the best is R&C. It is very oily and covers the hair really good. Both of my girls have long, thick, coarse hair, like a horse's mane. I hope this helps, and keep checking the hair every day. I have to use a regular comb because of their hair being so thick. We have had to deal with head lice twice in the last two to three months because of an infestation at school. Both times, I used vegetable or olive oil on the hair, let it sit for 30 minutes, rinsed, washed and dried their hair. Then I picked out the nits, etc. Then I used the over-the-counter treatment as instructed on the box. The big thing is to keep checking and pulling nits. It's been frustrating because other parents aren't checking. Here's what I did when we were infested with lice: Saturate hair with mayo and baby oil and apply shower cap and keep on over night. Next morning, wash hair with Denorex extra-strength shampoo along with coconut shampoo and a crème rinse. Then apply Listerine and leave it on the scalp for two hours, along with another shower cap. Rinse and then apply white vinegar for another two hours and apply another shower cap. Then repeat the shampoo process above. 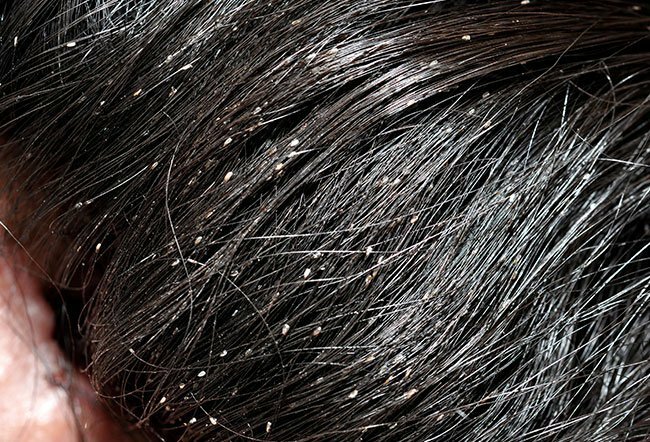 Then take a steel lice comb and go through each strand of hair and pull out the nits. We used a flashlight on the scalp to be able to see better. We did this for two days and by the third day, there were no lice. Make sure you wash all linens each night, along with all pillows and sweep all mattresses. Use Clorox to clean up everything, and spray down everything with Lysol, floors, furniture, countertops, bathrooms, basically every room in your house. Wash everything in your house, mop and sweep daily and repeat the Clorox clean up and Lysol. This really works. Over the counter medicine such as Rid does not work. The only thing that worked was white vinegar. Let it sit on your head for 15 minutes to 30 minutes. It is cheaper and far more effective. Vinegar loosens the nits and they fall right out. Another thing that is helpful is a comb that is specially designed to get nits out. The one in the rid box does not work well enough. I have a great treatment for head lice...drown them...every morning and evening, submerge the infested head into water for a few minutes. The lice die and float away in the water. Any surviving eggs that may hatch will be drowned at the next "drowning." Easy, no chemicals, no mess, full-proof and no cost! My 5-year-old daughter had lice in the middle of May and here it is the middle of June and we are still dealing with it. I am incredibly sick and very tired of doing non-stop laundry, bed linen changes, hair combings, and the list keeps going. Finally, I am hopeful that we are almost in the clear. I checked her hair again tonight and all that was found were old nits (very dark, empty clear ones) that were at least 2-3 inches from the scalp. I would consider her infestation to be probably the worst or close to the worst possible cases. My husband and I probably combed and pulled out at least 100-150 nits in the first few days of her treatment. (Note to parents: Please, please remind your children to never share hats, combs, hair things, sweatshirts with hoods, etc. Kids don't think of this unless they are reminded often. Also, check your child's daycare or classroom at school.) My daughter's preschool room had a dress up area. Needless to say, I expressed to her teacher and the school nurse what nonsense it is to have something that can enable lice to spread very quickly right at the kids' fingertips. My 8 year old son was home from school sick and I noticed him scratching his head. I said come here and let me see what you are scratching. I noticed a lot of nits and small sores on his head. We were in the car at this time. I pulled over and checked his head and there were a lot of nits and I found only one live small bug. I immediately went to Wal Mart and got a treatment for headline. We checked everyone in the homes hair and I notified his teacher and they checked the heads of the kids at school. No one else in the family or any of his classmates had lice, so I cannot figure out where it could have come from. Please tell me the order of events in treating for head lice. Last week I washed everyone's hair, washed all bedding and sprayed down mattresses, chairs and carpeting. Now 7 days later. I found an egg in my hair so when does this stop?